The decision as to how to structure your business is one of the first and most important decisions you must make. 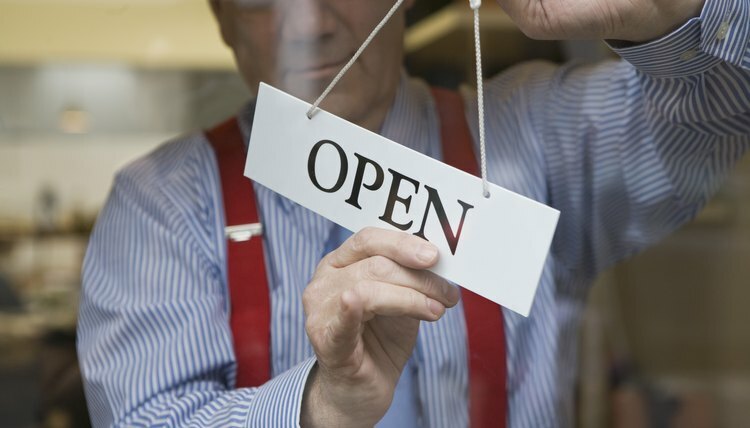 Whether to operate as a sole proprietorship requires consideration of potential liability, taxes and the cost of benefits, such as health insurance. Despite the attractiveness of sole proprietorships as the easiest and least expensive business entity to form, it has substantial drawbacks in other areas of business management. A sole proprietor is personally liable for all the debts of her business. With no partners, investors or separation between the business entity and sole proprietor's personal assets, the liability of the sole proprietor is not only unlimited but also unshared and unmitigated. If the business fails or the sole proprietor dies or becomes disabled, her personal assets are at risk from business creditors. Conversely, as a sole proprietor, your business assets are at risk to personal creditors as well. For example, if you run up high medical bills or credit card bills, the collection agencies may pursue attachment of your business assets, potentially crippling your ability to generate income. The owner of a sole proprietorship is considered self-employed and must pay self-employment taxes. If you are an employee, your employer pays half of the Social Security and Medicare taxes on your wages. As a self-employed sole proprietor, you must pay 100 percent of these taxes yourself. Self-employed individuals do get to favorably adjust their taxable income based on a portion of that self employment tax, but the amount of the tax still winds up being quite substantial. Most fringe benefits purchased by a sole proprietor for herself are not deductible business expenses, although self-insured individuals can deduct some portion of their health insurance premiums. A sole proprietor can have only one owner and cannot bring on partners without changing the company's business structure. Furthermore, sole proprietors typically have limited resources from which to draw investment capital to expand their businesses. With an inability to bring in partners or sell shares as partnerships and corporations can, a sole proprietorship's financial resources are limited to the assets and credit rating of the single owner. Lenders hesitate to loan money to sole proprietors because the business is likely to fold abruptly if the owner dies or becomes disabled. This makes the sole proprietorship business form impractical for ventures or business expansions that require large amounts of investment capital. A sole proprietorship dies with its owner, which can terminate the income streams for family or employees who were relying on the business operation for their livelihood. Very careful estate planning may be able to craft a means by which to allow the sole proprietor's executor to favorably liquidate or transfer the business, but the process is fraught with complication. Selling a sole proprietorship will entail either re-registering all licenses and names to the new sole proprietor, or forming a different business entity if there is more than one purchaser. Proceeds from the sale of a sole proprietorship are taxed as income to the owner. The purpose of an LLC is to allow one or more people to operate a business and have liability protection along with certain tax advantages. Another purpose of an LLC is to give business owners an entity that is flexible and easy to maintain, while requiring fewer formalities than other business entities, such as corporations.